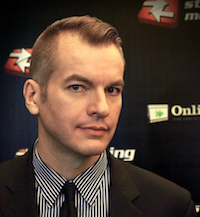 CES 2011 was a dazzling mix of hype, hope, and new technologies. While 3D TVs were a major theme of the show, that wasn't the only story in video. Consumers can expect to see more online movie and TV streaming solutions this year, all hoping to compete with those already on the market. 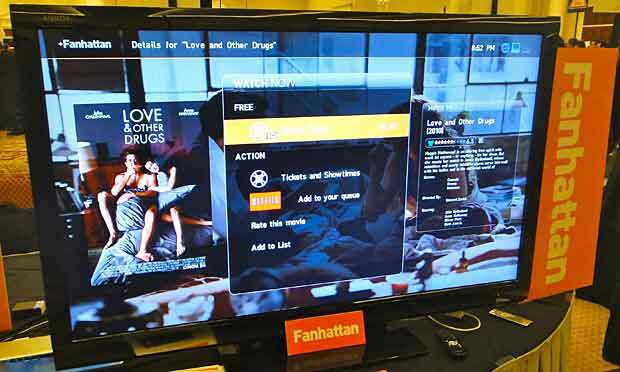 Connected TVs, which provide an app experience for downloading content, were also on display. Video camera makers are creating more 3D consumer cameras, so that everyone can make their own Avatar. They'll need a 3D TV to show it, of course. Back in the press room, journalists were wondering if 3D would catch on with consumers this year or if this was a lot of hot air for a technology few actually want. While the visuals are certainly impressive, no one was excited about wearing 3D glasses to watch television. 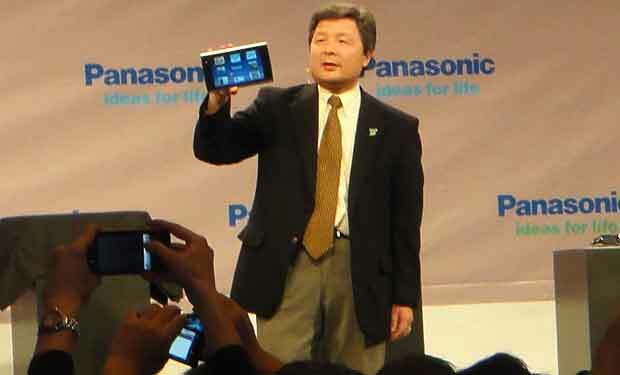 Panasonic made news with its first tablet. The Viera Tablet will work with Viera TVs, so viewers can move videos from the TV to the tablet. 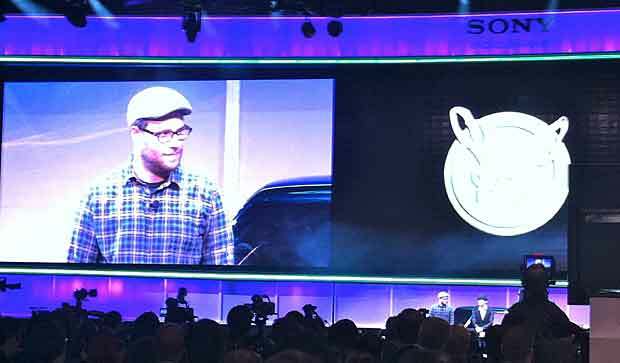 The Sony press event included appearances by Seth Rogen and Jay Chou from The Green Hornet. 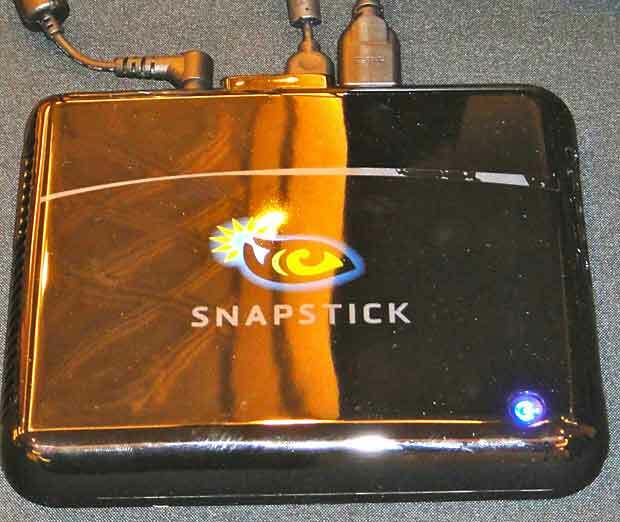 Snapstick showed off its media-streaming device, which should go into beta later this month. With Snapstick, users can find video content on their phone and then send it (or "snap it") to their TV to watch on a big screen. Avaak showed off the second generation of its Vue personal video network, an easy to set up home surveillance system. This time, the system offers motion detection cameras. 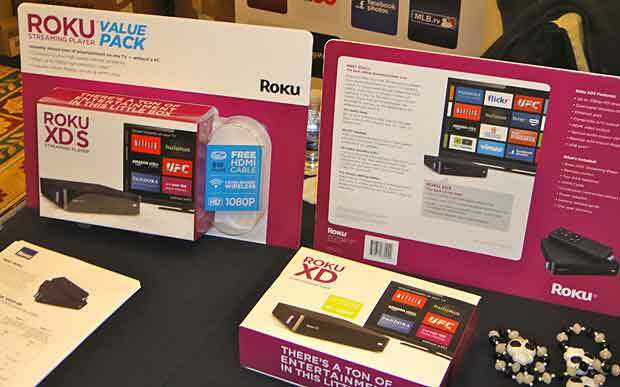 Roku didn't have any new products, but showed off the Roku XDS bundle now available at BJ's. The bundle includes a free HDMI cable. 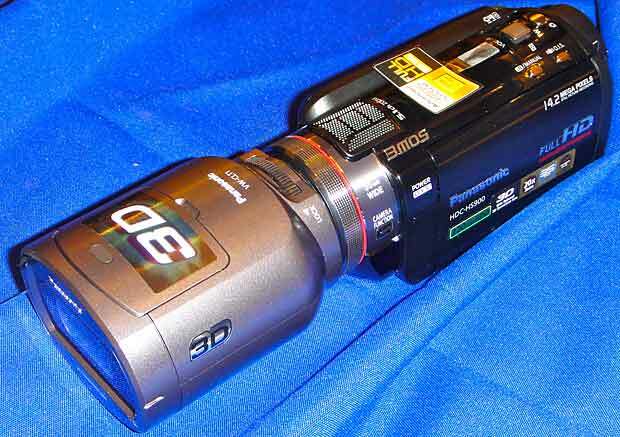 Panasonic showed five new consumer 3D video cameras. Each has a removable 3D lens for 2D shooting. TV makers showed flat screens that are flatter, with thinner bezels, resulting in TVs that look like framed posters. The not-yet-launced Fanhattan is a movie and TV show streaming service. Fanhattan pulls content from a variety of sources, although the creators aren't willing to talk about their content partners just yet. 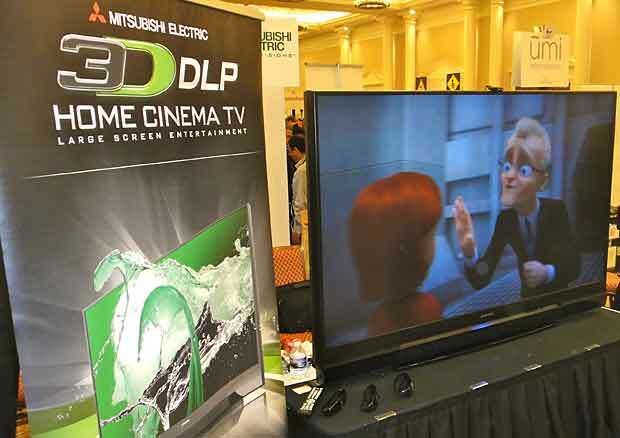 Mitsubishi was one of the many companies offering 3D TVs. 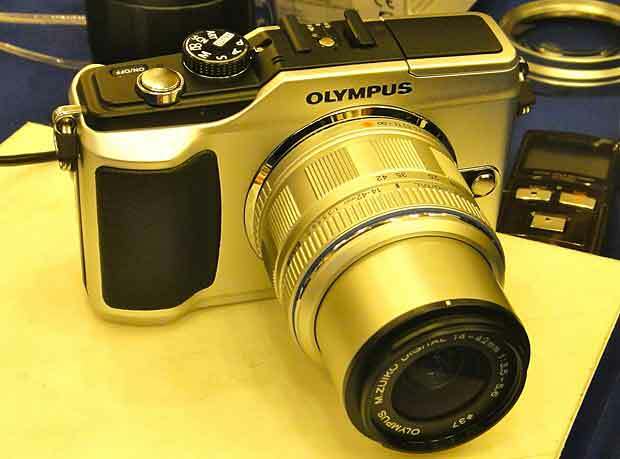 Olympus had high-end cameras that can shoot still shots and video, for those who want the option to do either. Click the Next link for more photo highlights. CES: Yahoo! 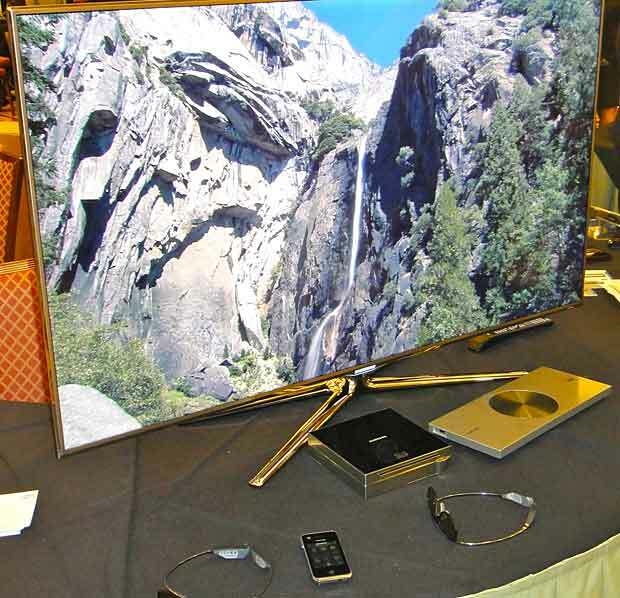 Connected TV to Provide "Broadcast Interactivity"
Connected televisions, which can stream online content with no set-top box required, were one of the hot areas at this year's CES. In this video, a Yahoo! VP explains his company's new interactive features.